Have you or your loved one been harmed in an auto accident due to the negligent driving of another? If so, you can be assured that Arkansas Car Accident Law protects your legal right to recover monetary damages to reimburse you for lost wages, medical treatment, pain and suffering, property damages and other forms of damages. Rees Law Firm is an experienced and aggressive auto accident law firm based in Jonesboro, Arkansas. Our car accident lawyer in Jonesboro represents personal injury victims throughout the State of Arkansas. At Rees Law Firm, our clients always come first! The Jonesboro auto accident lawyers at Rees Law Firm offer a free, no-obligation consultation when you call (870) 931-2100. Insurance companies (even your own), are “for profit” enterprises and insurance adjusters are trained to devalue and even outright deny claims. Clever marketing by auto insurance companies has persuaded the public into a belief that insurance companies are ready and willing to pay you all the compensation that you deserve after an accident. However, as experienced car accident attorneys, we hear a lot of horror stories from our new clients. We hear the many bad faith practices employed by many insurance claims adjusters to diminish claim values, deny liability, or slow pay on claims to financially bully a claimant into accepting a quick check or low-ball settlement offer. One of the most common techniques used is to call the accident injury victim, record the conversation and then ask “tricky” questions rooted in human psychological behavior to elicit statements from an accident injury victim that devalue their claim. For example, an insurance company representative might say thing like, “Wow. I am so sorry that you were in an accident. I hope everyone is okay.” To most people, this question seems friendly and caring. However, this is a loaded question that typically elicits a response from the injury victim such as, “Oh yes. Everyone is fine.” This response could be used against you should you seek any compensation for your injuries and medical expenses. When you are in a car wreck, and after emergency room physicians have evaluated you and your passengers, it is advisable that you speak with an experienced auto accident attorney before conversing to any insurance company representative – including your own. This way you have an advocate to speak on your behalf who can ensure that your legal rights are protected. The auto accident lawyers at Rees Law Firm offer a free, no-obligation consultation when you call (870) 931-2100. Contact 911 and request emergency medical personnel and the police. If your car is on fire, leave the car, call out for help and assist your passengers with exiting the car. If you feel that your car is in danger of being struck by oncoming traffic or a train resulting in further injury or death, exit the car if possible. If there are people, who can assist you, ask for assistance in looking you over for broken bones and help to exit the car. But only exit the car if necessary to prevent further injury. If you are not at risk of being hit by oncoming trucks cars or trains and the car is not on fire or at risk for explosions, do not move or exit your vehicle. You and your passengers may not feel injured at first due to the flow of adrenalin in your system. If you are injured, and you do not feel injured, moving to exit your vehicle may cause further injury, paralysis or even death. Receive a medical examination and medical treatment. Obtain photos of the accident scene. If you are injured, be sure to have someone that you can trust take photos of the scene and the vehicles. Exchange information. Be sure to see the drivers’ licenses of all people involved in the accident and write this information down. Also, obtain the auto insurance information from all parties involved. If you are injured, ask for someone you can trust to obtain this information on your behalf. Call Rees Law Firm at (870) 931-2100 to preserve evidence of the accident and to initiate the investigation on your case. According to Arkansas Law, any accident resulting in the death of a person, property damage or bodily injury “in excess of $1,000.00” requires that you fill out the Arkansas Motor Vehicle Accident Report (form SR-1) within 30 days of the date of the accident. 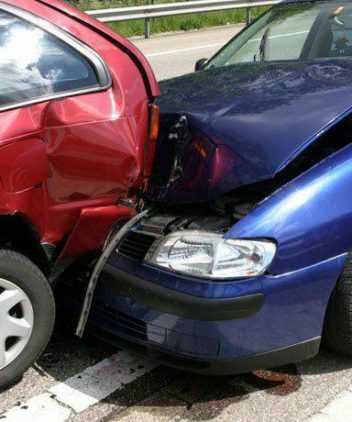 There are many myths about auto accident claims. Our law firm receives many calls from accident injury victims who have made poor decisions based on bad information, misbeliefs or myths. In many cases, an accident injury claimant will act upon these myths only to discover later that they had been misinformed and had potentially damaged their case. In hopes of preventing such errors or mistakes, our law firm offers a few of the most damaging misunderstandings that we hear from potential clients. Myth #1 – Hiring an attorney for your accident means you receive less money. An Insurance Research Council study found that accident injury settlements paid to claimants who had legal representation received 40 percent more money than those who did not have legal representation. The reason why people without an attorney recover less compensation than those with an attorney could be because insurance companies often take advantage of those people by devaluing their claim. Myth #2 – Hiring a lawyer for your accident delays your claim. Unforeseen medical treatment or therapies that could be required in the future. The diminished value of your property damage. Future lost wages or earnings. Contact the Jonesboro auto accident lawyers at Rees Law Firm at (870) 931-2100 for your free, no-obligation consultation. Why Choose The Rees Law Firm? The Rees Law Firm has been awarded numerous accolades for quality legal services and ethical trade practices. Attorney Mark Rees has been selected as “BEST OF THE BEST ATTORNEY” by the readers of the Jonesboro Sun and Occasion’s Magazine. The Rees Law Firm understand how important communication is to you and your family. Our legal staff will always keep you updated on the progress of your accident case. Attorney Mark Rees offers you a free car accident case evaluation by phone or at his Jonesboro, Arkansas law office. Call Rees Law Firm at (870) 931-2100 to learn about your legal rights and receive answers to your important auto accident questions.